In her post, “I Used To Walk the Line” on Yvonne deSousa.com, Yvonne writes about her concern of being mistaken for being drunk if her MS symptoms are evident. I was reminded of a card I had somewhere. Since I no longer drive, I didn’t have it readily available, but located it and am posting it for her and anyone else who might want to copy and print it. 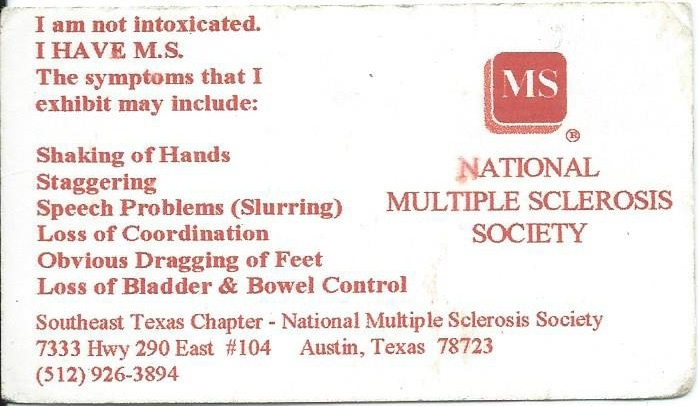 It’s rather worn and was printed by the Southeast Texas Chapter of the National Multiple sclerosis Society, but our symptoms are shared worldwide. Having it in your car with your registration and insurance information might be helpful. 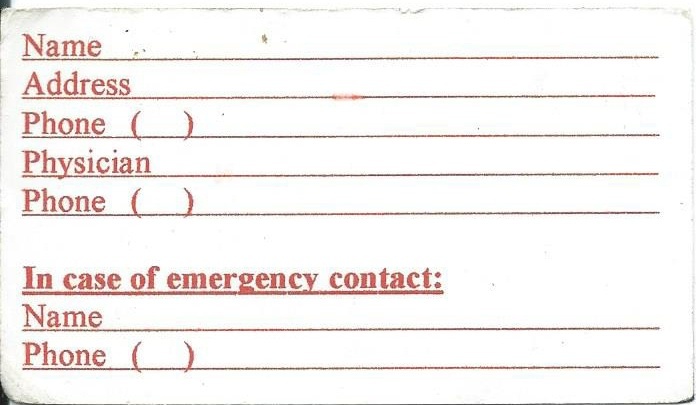 You can also get a similar card by going to http://www.mscenter.org/ and clicking on “Resources” and navigating to it, or by searching for MS ID Card on that website. 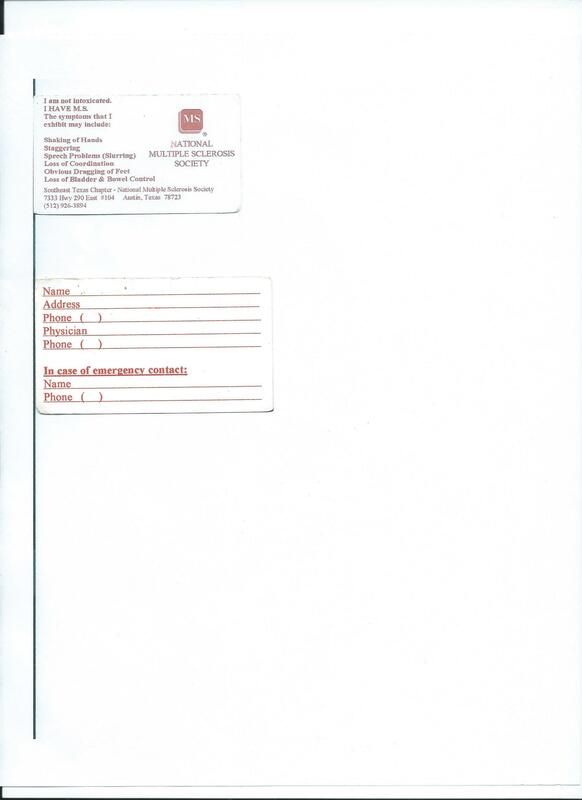 This entry was posted in MS/Multiple Sclerosis and tagged card, ID, identification, MS, multiple, sclerosis, symptoms. Bookmark the permalink. Thank you so much! That is very helpful and I’m going to find me one. If I can’t get one on my own, I think I still have the name of the guy who made my fake idea in college-hahaha! Seriously though, I really appreciate it! You can easily print the card from here. Just right click on the image and save it, then print. Hope it helps you and others. What does it say about us that we need such things? I shudder to think.